Riot Games are proud to present the prestigious tournament, LOL Worlds Championship 2018. It will bring together the best twenty-four teams from around the world to battle it out for a shot to win a share from the prize pool of a whopping $2.2 million. The event will start from 1st October until 3rd November, taking place in four cities Seoul, Busan, Gwangju and Incheon. 2018 marks the second time that Worlds will be in South Korea. The League of Legends Worlds Championship is a yearly International esports event that celebrates all that is League of Legends. An occasion for top LOL teams to battle it out to hopefully hold up the Summoner’s Cup and win the first prize of $834K. Considering that the LOL Worlds Championship is one of the top esports events held in October, the viewership statistics have kept growing year on year. The 2017 Worlds Grand Finals peaked at its highest with around 60 million spectators watching two finalists, Samsung Galaxy vs SK Telecom T1. An unbeatable score of 3-0 saw SSG win the final match to take the Worlds title to earn a massive reward of $1.7 million from a total prize pool of $4.5 million. The LOL World Championship 2016 proved to be quite a success, from trials to tribulations, two Korean teams, SKT and SSG reached the grand finals. In the end, SK Telecom T1 triumphed beating Samsung Galaxy with a score 3-2, winning a massive prize of $2 million at Worlds, showing the esports community, who are the League of Legends masters. The Lol Worlds 2018 tournament format kicks off with the Play-In Stage for twelve teams battle it out. The top four squads will progress to the Group Stage while the rest will get eliminated. Through to the next round of matches, sixteen gaming clubs divide into four groups. The top two squads from each set advance to the Knockout Stage that consists of Quarterfinals, Semi-Finals and Finals. All matches will be played in a best-of-5 in a single elimination bracket, revealing the top LOL champions of Worlds 2018. All esports teams participating aim to advance as far as they can through the League of Legends event. On top of this, performing the best they can in tournaments is not enough, but depends on the team pool in the Play-Ins and Group Stage. Representing the North American region are Team Liquid, the top LOL team in NA to win the NA LCS Summer Split 2018, coming in as favourites for League of Legends betting. As the second seed, 100 Thieves acquired the highest championship points of 110 to surpass Cloud 9 with 100. 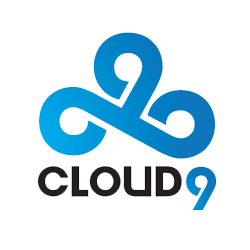 The third seed was earned by C9 who came in second place at the Summer Split. In the EU LCS Summer finals, Fnatic outplayed Schalke 04 in the finals to secure their place as the first seed. Team Vitality earned their spot with the highest Championship points of a 100 from both Spring and Summer leagues. The surprising team, G2 Esports finished in fifth place at the EU LCS league. However, in the regional finals, G2 Esports dominated over Splyce and Schalke 04 Esports to prove they have what it takes going into Worlds as the third seed. Competing for South Korea, KT Rolster has proven their potential as the strongest team in the region, winning the LCK Finals. Meanwhile, Afreeca Freecs finished in third place in the Summer competition, but their Spring and Summer championship points have led them to be the second seed. Another team worth a mention is Gen.G who won the regional finals overshadowing SK Telecom T1, Griffin and Kingzone DragonX, to acquire the last spot for the South Korean region. LOL teams that will represent Taiwan, Hong Kong and Macau region will be Flash Wolves who proved their capabilities of winning the LMS Finals. The MAD team ranked in second place in the LOL LMS finals and on top of that earned their spot in the competition having high Championship points from Spring and Summer Splits. Add to these, G-Rex won the LMS Regional Qualifiers, overcoming Hong Kong Attitude and J Team to earn their place in the competition. The Chinese LOL teams going into Worlds 2018 include the top unit, Royal Never Give Up taking the LPL Summer title that secured their participation. Finishing in second place of the Chinese Summer Split 2018, the team have also gained Championship points to ensure their second place into the World event. Another top unit is EDward Gaming that won the Reginal finals dominating over JD Gaming and Rogue Warriors to earn the last seed to represent China. Another team that qualified for the Group stages of Worlds Championships is Phong Vu Buffalo, a LOL team competing for Vietnam. As for the squads qualifying for the Play-In stage at Worlds include KaBuM! Esports for Brazil, Gambit Esports for Russian region and DetonatioN FocusMe representing Japan. Add to these, Infinity Esports for North Latin America, Kaos Latin Gamers for South Latin America, Australia’s Dire Wolves, South East Asia is Ascension Gaming and Turkish team, SuperMassive Esports. You can watch the most prestigious LOL Worlds Championship online on ESPN, Twitch, lolesports.com or this esports tournament page. Following the ongoing event can help guide you to place your best League of Legends betting on some of the top teams around the world. Which legendary team do you think will win the LOL Worlds Championship 2018?